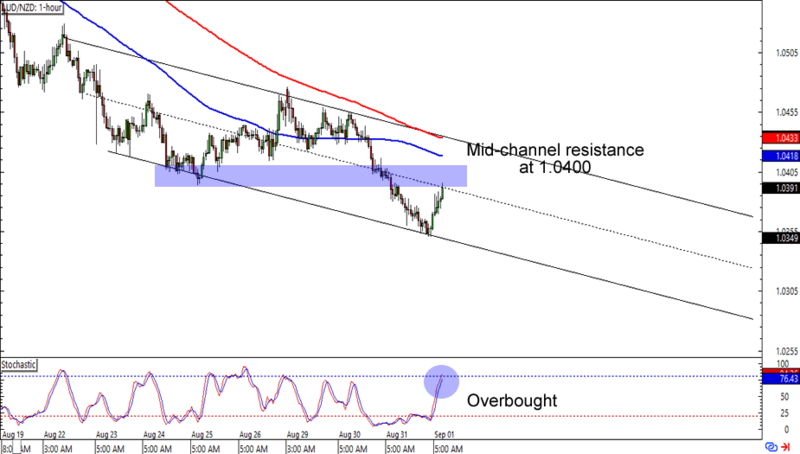 First up is a nice and simple mid-channel resistance on AUD/NZD. The pair is about to hit the 1.0400 major psychological level, which lines up with the mid-channel area of a falling channel on the 1-hour time frame. What’s more, stochastic is also about to reach the overbought territory. Will the Aussie soon see more losses against the Kiwi? Keep close tabs on this one for more downtrend action! Next up is another simple trend play, this time on EUR/USD’s 4-hour time frame. 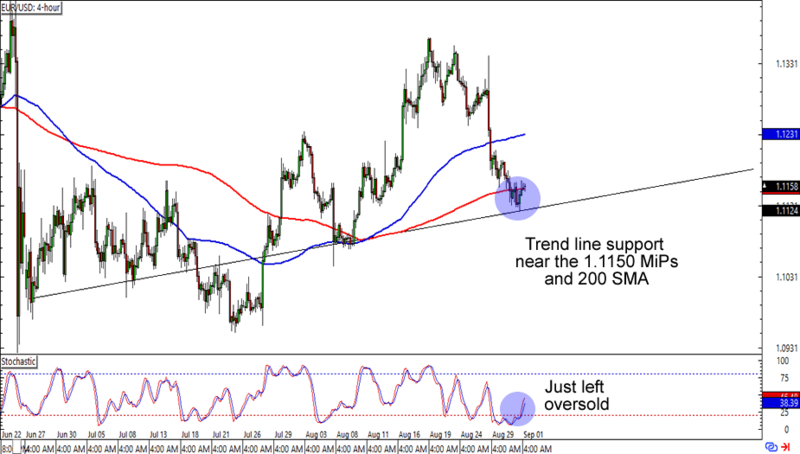 The pair is having trouble breaking below the 1.1125 levels, which is right smack at a rising trend line support AND a 200 SMA retest on the chart. Not only that, but stochastic has also just left the oversold area. A long trade at current levels could yield a good reward-to-risk ratio especially if you aim for the previous highs. Of course, you can also wait for a break below said support levels if you think that the dollar is about to see gains against the euro. EUR/GBP is currently lollygagging at the .8500 major psychological level, which lines up with not only a rising trend line support, but also the 61.8% Fib retracement and 200 SMA on the 4-hour time frame. The cherry on top of this sweet uptrend sundae is a bullish divergence on the chart. Think the euro is about to see more gains against the pound? 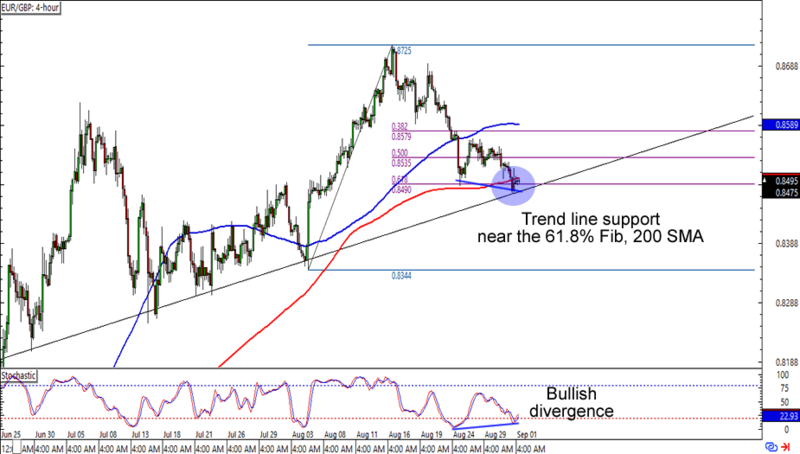 Read up on using Fibs to enter trends like these if you haven’t done it yet!